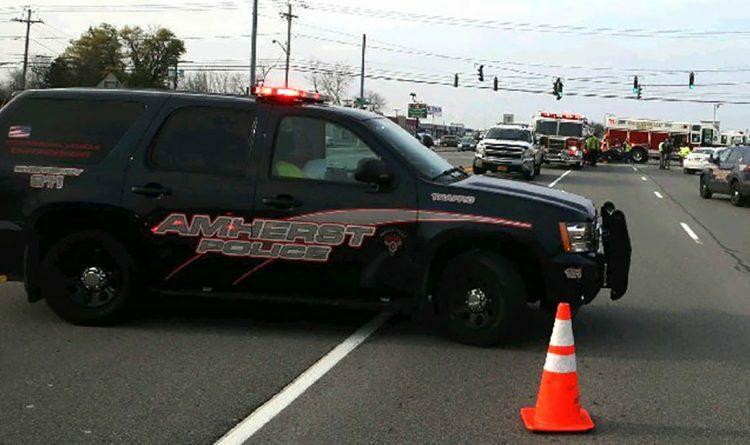 AMHERST, N.Y. -- An Amherst woman has died of her injuries after she was struck by a car Sunday afternoon as she crossed Maple Road, Amherst Police reported. Police said Susan R. Lowes, 68, suffered multiple injuries when she was struck by a car driven by a 62-year-old Williamsville woman about 4:30 p.m. as she was walking in front of 2351 Maple Road at Transit Road. She was taken by ambulance to Millard Fillmore Suburban Hospital where she was pronounced dead, police stated. The East Amherst Fire Department and Twin City Ambulance assisted at the scene. Police ask anyone with information about the accident to call 689-1311.